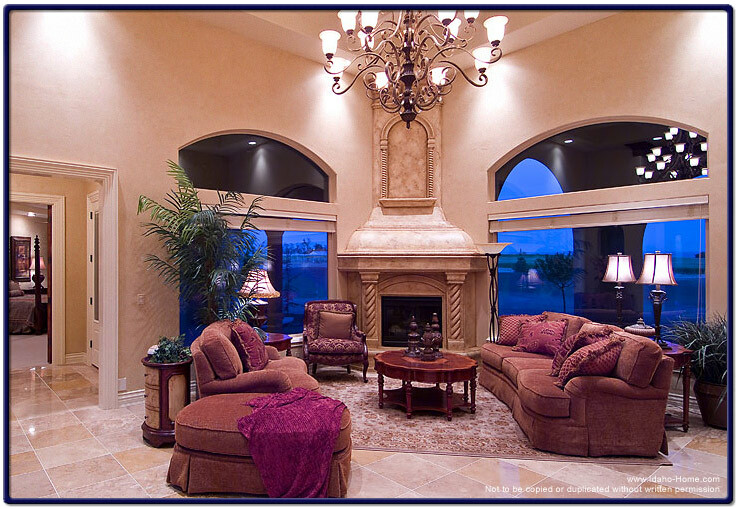 The fireplace pictured below was built of natural limestone and located in the living room of a luxury home. It is over 6 feet in width at the base and extends all the way to the top of a two story high ceiling. This particular fireplace can be purchased as wood burning or gas burning unit. It can be customized to your type of design and color scheme.